Armani Rose gold-tone and Green textured leather Unisex Watch. 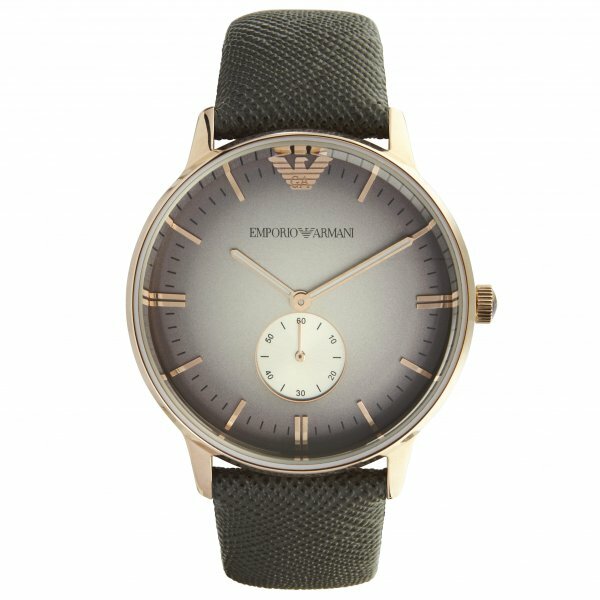 The Emporio Armani Unisex Watch is part of the Emporio Armani Collection. The AR1723 watch is a modern take with a very vintage feel in mind. This Armani watch features a desirable Green cross textured genuine leather strap with rose gold-tone case. The gray dial features rose gold-tone hour markers and features a third hand gauge and 5ATM water resistance. The Armani Watch AR1723 is in stock, allowing us to offer next day delivery in the UK if necessary. The Armani Watch AR1723 also comes in an Emporio Armani presentation case with a two year tic watches warranty.